'Green properties' are commanding from 10-14 percent more according to a recent report from the U.S. Green Building Council. A similar effect is being seen in Australia with savvy developers cornering this lucrative market. So why not established strata? Projects to improve the clean and green credentials of strata, such as solar panels and LED lighting, are also high return investments benefiting owners, strata managers and bodies corporate. Now may be the right time to invest. The impact Solar and other sustainability projects can have on property valuations is an incentive that a number of developers are seeking to cash in on. 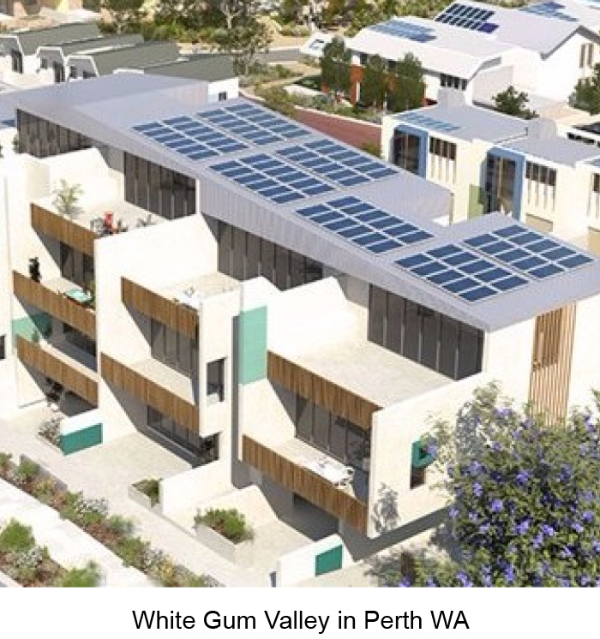 Recent developments include White Gum Valley in Perth, and Yarrabend (aka "Tesla Town"), Nightingale 1.0, and the Commons all in Melbourne. Sydney has the internationally recognised Central Park development, but we are still waiting to see a strata in Brisbane take leadership. According to the Victorian Building Commission and Sustainability Victoria report, Valuing Green, “it is highly likely that a two tiered market will emerge, with green star buildings attracting premiums and/or existing assets being discounted”. Indeed, more star ratings are on the way. On the 23rd August, the Federal Government announced its commitment of funds to develop the rating scheme NABERS for apartment blocks. This rating scheme measures the environmental performance of buildings, and has been used successfully in commercial buildings for over 10 years. Research has shown that a 5-star NABERS energy rating delivers a “9% green premium in value". For projects like solar energy, this is expected to produce a surge in demand with upward pressure on project costs. Solar and other energy efficiency projects such as LED lighting are a good way to improve green credentials of your strata building. However the financial benefits of such projects have been the topic of discussion for some time. Up until recently there has been a strong belief that ‘going green’ came at the sacrifice of returns or profits. The opposite has very much proven to be the case. The typical payback period of solar power in strata is between 4-7 years. 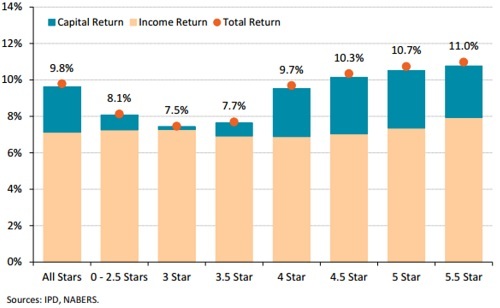 This is equivalent to investment returns of between 14-25% p.a. Other energy projects such as LED lighting often have payback periods of 2-3 years, an equivalent return of 33-50% p.a. Try getting that from your bank or financial adviser. Add a 9-14% increase in property value, thanks to a few sustainability projects. How is the feasibility of your sustainability projects looking now? As tenants, owner-occupiers and investors increasingly look for the ‘green credentials’ in their decision to buy or rent an apartment, we will undoubtedly see a continued rise in the marketability of buildings with higher environmental performance. The good news for existing apartment owners is that there are many projects that can relatively easily be implemented, providing attractive returns, significant running cost savings, and will improve the green credentials of your building. For more information read The Business Case for Green Building.